As panel builders, electrical engineers, technicians, students or designers, you are led to work on MV electrical installations. These require equipments as well as a specific technical setting up to be efficient. The setting up and the standards evolves together and to be up to date with the procedure to follow is becoming difficult. Furthermore, the quality of such an installation depends on several factors which have their own importance. Because of this, you sometimes encounter difficulties to summarize this technical information and it becomes hard for you to put them into practice during your daily interventions. The consequences on your efficiency in the field are immediate: you lose time making researches to be up to date; you propose installations that you master only to your clients, and these are not conform to standards which also means non-optimized nor safe. Stop enduring this situation! Just for you, we’ve searched and gone through several free technical guides available online. Further to our investigation, we’ve selected the best 3 and we’ve awarded them a gold, silver and bronze medal. 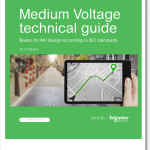 These 3 technical guides deal with medium voltage electrical installation according to the standards to apply in 2017. Each of them has been written by a team of experts working for 3 major manufacturers. These resources are a perfect memo for anyone needing a clear and efficient technical support. How well do these documents technically support panel builders, specifiers, and other users to deal with MV power devices and their atmospheric conditions of use? Conclusion MV and LV are covered here. 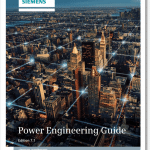 Smart grids are covered by other guides. Effort is noted to support the user when facing severe environments, surrounding the operating room, and optimizing the lifespan of MV power devices. .
Fire withstand and E-house should have been covered to complete this guide. HV, MV, and LV are covered in the same document. Lifespan, ageing, and corrosion are mentioned several times without an explanation or an example. (Descriptions cover the environment, standard, formula, graph, data, etc.). * Lots of information about their product ranges (devices, switchgear and E-house) as technical datasheet, but the technical messages are general and the technical support is reduced for an engineering guide without additional company contact. ABB Switchgear Manual cost: 19 EUR. MV and transformer ageing are both covered. 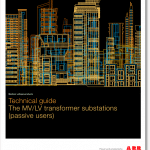 The MV/LV substation technical guide was published in 2015 with the intention to dissociate IEC and CEI (Italia) standards. While the rules focusing on the MV/LV substation are described well, they are lacking technical details. For example, fire and seismic withstand should be explained in context with a complete housing to assess performance of the entire installation, as the stresses could be increased or damped. What’s your opinion on the 3 winners? If you’ve already searched for a good technical guide for MV installations on your own, do not hesitate to share your podium with us. We’ll be glad to discover them and exchange about it in the comments section. or copy this trackback: http://engineering.electrical-equipment.org/iec-standard/top-3-best-medium-voltage-technical-guides.html/trackback from your own site.